Two kidneys – which lie behind the other major organs in the lower back area. They are bean-shaped organs and measure about 11cm long, 6cm wide and 3cm deep. They have 5 main functions, which will be discussed at a later stage. Two ureters – (tube-like features) which run from the kidneys to the bladder carrying urine. One bladder – which collects urine from the kidneys, via the ureters, and stores it temporarily. One urethra – through which the urine is excreted out of the body, allowing the bladder to empty and dispose of the waste. Filter and remove the waste products of the body. Remove excess water from the body. Help in the production of red blood cells, which are used to carry oxygen around the body. Help regulate blood pressure in the body. As blood flows through the body it picks up waste and carries this to the kidneys using the kidney arteries. The waste in your blood comes from the normal breakdown of active tissues and from the food you eat. Your body uses food for energy and selfrepair. After the body has taken what it needs, from the food, the waste is sent to the blood. The kidneys filter out the waste products and excess fluids from the body and dispose of them in the form of urine, via the bladder. The clean blood flows back to the other parts of the body. If your kidneys did not remove this waste, it would build up in the blood and cause damage to your body. The actual filtering occurs in tiny units inside your kidneys called nephrons. Each kidney contains about a million nephrons. In the nephron, a glomerulus (which is a tiny blood vessel or capillary) intertwines with a urine collecting tube called tubules. A complicated chemical exchange takes place, as waste materials and water in your blood enter your urinary system. in the form of urea for excretion. Too much urea, in the blood is known as uraemia. excess potassium, from the blood stream, as a waste product. 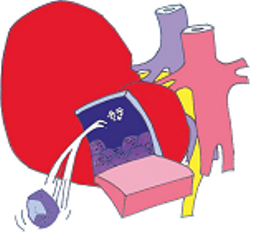 Creatinine – A waste product in the blood created by the breakdown of muscle cells during activity. The levels vary according to the size of the individual, i.e. the muscle mass of the person. Sodium – A chemical absorbed in the blood stream from food containing salts. Excess sodium in the blood may cause a rise in blood pressure as it plays a vital role in regulating the amount of fluid in the blood. Chloride – Like sodium, this chemical helps maintain a balance of fluid in the body. It is also absorbed from salted foods and is absorbed in the bloodstream in the bowel. with the help of three hormones, which are released in the kidneys. Erythropoietin (eh-rith-ro-poy-eh-tin) or Epo is a hormone that is secreted by your kidneys and stimulates the bone marrow to produce red blood cells, which carry oxygen in the blood, to the cells in the body. Renin (ren-in) is a hormone that the kidneys secrete to help regulate the blood pressure through a chemical process within the blood stream. Calcitriol (kal-suh-try-ul) is the active form of Vitamin D that the kidneys secrete to help maintain healthy bones by maintaining a chemical balance between calcium and phosphate in the blood. How Does Kidney Disease Affect Your Body? Proteinuria or protein in the urine is frequently the earliest symptom of kidney disease. You will have read, in the previous section, how the kidney works and that the kidney has about a million filters. When the kidney is healthy it allows very little protein into the urine. If these filters become leaky, small amounts of protein will leak into the urine. This is frequently an early sign of kidney trouble long before the kidney function itself begins to deteriorate. Doctors frequently test patient’s urine for the presence of blood or protein, to try to detect kidney disease early. There are many causes of protein in the urine, including diabetes and glomerulonephritis. Whilst your doctor will conduct a number of special blood tests, to try to determine the underlying cause, it may be necessary to undergo a kidney biopsy, to establish the exact cause of the protein. Patients who have very large amounts of protein in the urine, (greater than 3 grams), are described as having nephrotic syndrome. Patients with nephrotic syndrome frequently have swollen legs. Haematuria or blood in the urine can either be present in amounts that you can see (macrascopic) or in amounts that you cannot see (microscopic) in which it is only detected with urine testing. Blood in the urine may not appear red but more like strong tea coloured. Blood in the urine is frequently an alarming symptom and it should never be ignored. However, it only takes a few drops of blood for the urine to turn red. There are a large number of potential causes of blood in the urine including: urine infection, kidney stones, kidney or bladder tumours and inflammation in the kidney called glomerulonephritis (GN). If you have haematuria, the first thing your doctor will do is to make sure you do not have a urine infection or bladder or kidney tumour. To do this, you will usually need to have a number of scans of the kidney and may well need a cystoscopy. A cystoscopy is a test in which a camera with a light is inserted into the bladder. If these tests are normal your doctor will then focus on determining if the blood is coming from kidney inflammation or glomerulonephritis. This may require further specific blood and urine tests or a kidney biopsy. 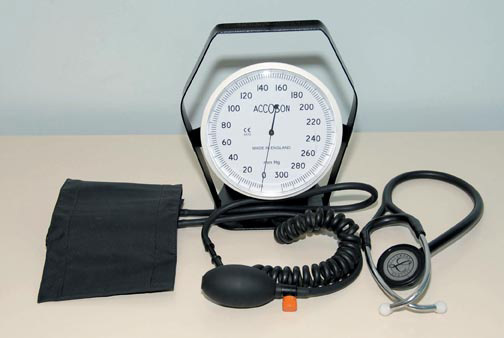 High blood pressure (hypertension) may arise due to, or as a result of, kidney disease. It is important, however, to realise that the vast majority of people, with high blood pressure, have entirely normal kidney function. If you have high blood pressure, it is very important to treat it as it will help preserve your kidney function and reduce the risk of developing a stroke or heart attack. Elevate Serum Creatinine - The serum creatinine is a blood test that is used to monitor kidney function. The serum creatinine may be elevated as an early sign of kidney disease long before there are any symptoms evident of kidney disease. Blood tests, identifying elevated serum creatinine, are main undertaken, as a routine, during an annual physical medical examination. If serum creatinine is elevated, it may be as a result of any of the kidney diseases discussed below. Kidney stones occur when a tiny fragment of crystals develops within the kidney or the tube coming from the kidney, called the ureter. A kidney stone mainly produces very severe colicky pain. The pain of a kidney stone is described as being more severe than that of labour pains. The treatment of a kidney stone will consist of pain medication initially mainly in the form of an injection. Subsequently, the doctor/urologist may attempt to extract the stone. This may occur by way of a number of methods, depending on the size and position of the kidney stone. The urologist may pass a scope into the bladder and try to grasp the stone. They may also try to bypass the stone temporarily with a stent, or may try to dissolve the stone with a machine called a Lithotripsey. Occasionally, the urologist may be required to perform an open operation, on the kidney, in order to surgically remove the stone. Not drinking enough water. If you have kidney stones, it is necessary to drink 3 litres of water a day. High levels of calcium in the urine (hypercalciuria). This condition, in which some people pass too much calcium into the urine, can occur for unknown reasons. High levels of calcium in the blood hypercalcemia). This may occur as a result of a gland in the neck called the parathyroid gland becoming overactive. If this is the case you may need to undergo a small operation to remove part of the gland. It may also occur as a result of consuming too much calcium in the diet. High urinary oxalate (oxalosis). Oxalate is a constituent of certain foods. If you are diagnosed as having too much oxalate your doctor may prescribe a diet, high in calcium, as this helps to prevent kidney stones in this situation. Cystinosis. This is an uncommon cause of kidney stones and is inherited (runs in families). This occurs as a result of the body being unable to handle the amino acid cysteine. The treatment recommended for this condition is to consume large amounts of water. In addition, medications are sometimes prescribed to help reduce the frequency of kidney stone formation. The investigation of patients with kidney stones will consist of a number of 24 hour urine collections and blood tests to determine which of the above conditions is responsible for the kidney stones. One of the urine collection bottles contains acid and it is important that it is handled with care and kept far away from children.